Nobody likes to be out of style and in Rawalpindi is very easy to feel cool and trendy thanks to the many fashion wear offered all around the country. There is a wide range of clothes shops in Rawalpindi that will satisfy your needs and tastes beyond your expectations and within your budget. On the other hand, much more affordable woman clothes, casual shirts and the best clothing stores for men are also all around Rawalpindi. At Infoisinfo we work hard to offer you the best solutions whatever your needs are. 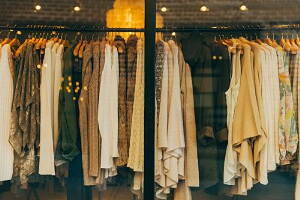 If you are looking for trendy clothes for woman and men, this is your directory. We’ve prepared a list with the best clothing stores and supplies in Rawalpindi among which you will be able to find the perfect place to buy new clothes for you or baby and children clothes for your kids. Have a look at the contact details provided such as phone numbers, address and opening times, as well as comments and valuations from other fashion lovers. Enjoy shopping! B51, Minar Road, Lala Rukh, Taxila. Rawalpindi. Punjab. All About Gents And Ladies Stitched, Semi-Stitched And Un-stitched Wearing. House No 22, Circular Avenue, Safari Villas, P.O. Box:. Rawalpindi. Punjab. Company is working in Arts and Crafts, Clothing and Accessories business activities. Technologics is located in Rawalpindi, Pakistan. Rozenama Jang Building, Murree Road. Rawalpindi. Punjab. Company is working in Clothing and Accessories, Education business activities. Ideal Weave Art is located in Rawalpini, Pakistan. 37-G, Tulsa Road, Lalazar Colony. Rawalpindi. Punjab. Company is working in Clothing and Accessories, Home and Garden business activities. Barbie House is located in Rawalpini, Pakistan. 4, Kashmir Gate Plaza, Opp. General Hospital, Murree Road. Rawalpindi. Punjab. Company is working in Clothing and Accessories, Textile business activities. PICCASSO'S is located in Rawalpini, Pakistan. Gakhar Plaza, Saddar. Rawalpindi. Punjab. Company is working in Retail services, Clothing and Accessories, Shopping centres business activities. TALENT TASTE is located in Rawalpini, Pakistan. Committee Mohallah Murree Road. Rawalpindi. Punjab. Company is working in Clothing and Accessories, Uniforms business activities. AHSAN BROTHERS is located in Rawalpini, Pakistan. # 43, Mobee Plaza Opp.Ciros Cinema, Haider Road. Rawalpindi. Punjab. Company is working in Overseas business, Import and Export agents, Clothing and Accessories business activities. LINK S ARMY STORE is located in Rawalpindi, Pakistan. 346, Gakhar Plaza, Bank Road. Rawalpindi. Punjab. Company is working in Clothing and Accessories, Clothes shops business activities. SIDDIQUE TRADERS is located in Rawalpindi, Pakistan. Shop#155, 1st Floor, Ghakkar Plaza, Bank Road. Rawalpindi. Punjab. Company is working in Clothing and Accessories, Clothes shops business activities. VITAL GARMENTS is located in Rawalpindi, Pakistan. Millennium Plaza, Opposit Rawalpindi General Hospital Mian Murree Road. Rawalpindi. Punjab. Global Links is located in Rawalpini, Pakistan. If you have any questions, Clothing and Accessories, please contact us. Company is working in Health care, Textile business activities. Company is working in Industrial services, Clothing and Accessories business activities. Hassan Garments is located in Rawalpini, Pakistan. Ittifaq Shoe Market. Rawalpindi. Punjab. Company is working in Clothing and Accessories, Shoes business activities. NAZIR SHOE COMPANY is located in Rawalpini, Pakistan. Shop No.11, Gakhar Plaza. Rawalpindi. Punjab. Company is working in Industrial services, Clothing and Accessories business activities. Sana Garments is located in Rawalpini, Pakistan. C-93, Moti Bazar. Rawalpindi. Punjab. Company is working in Clothing and Accessories, Uniforms, Home and Garden business activities. Abdul Razzaq Cloth House is located in Rawalpini, Pakistan. C/359, Moti Bazar. Rawalpindi. Punjab. Company is working in Clothing and Accessories, Home and Garden business activities. Azhar Cloth House is located in Rawalpini, Pakistan. Shop # 111, 1st Floor, Inside Gakhar Plaza, Bank Road. Rawalpindi. Punjab. Company is working in Financial activity, Clothing and Accessories business activities. Cash-N-Carry is located in Rawalpini, Pakistan. 153, Sir Syed Chowk. Rawalpindi. Punjab. Company is working in General business, Clothing and Accessories business activities. Sohail Enterprises is located in Rawalpini, Pakistan. 4, Kashmir Gate Plaza Opp. General Hospital Murree Road. Rawalpindi. Punjab. Company is working in Clothing and Accessories, Boutique business activities. PICCASSO S is located in Rawalpindi, Pakistan.